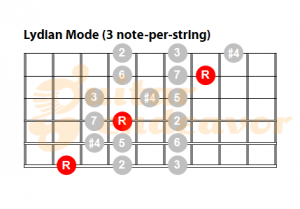 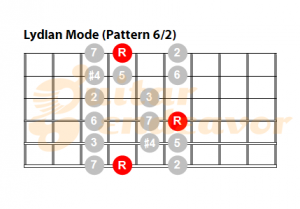 The Lydian mode is a type of major scale. 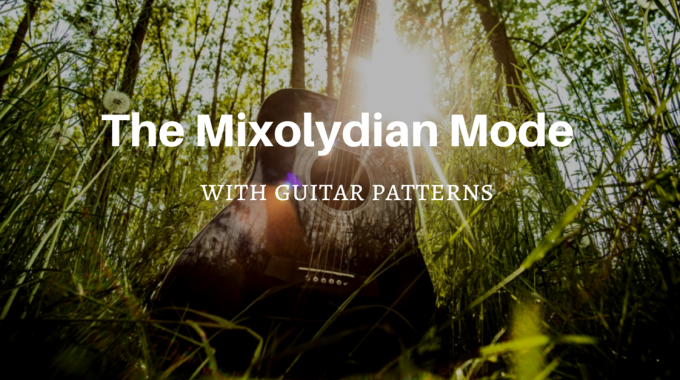 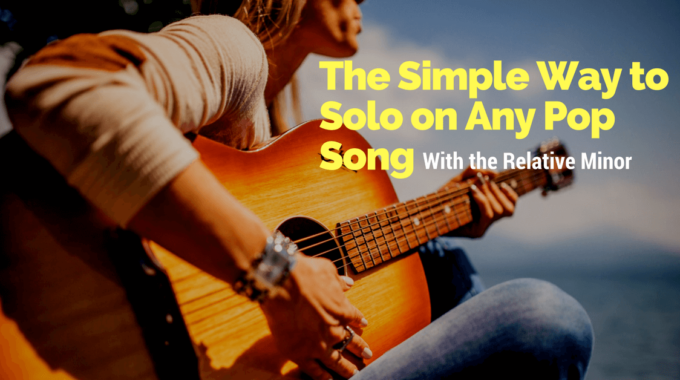 It is very happy sounding and has a magical and dreamy touch when used in guitar soloing. 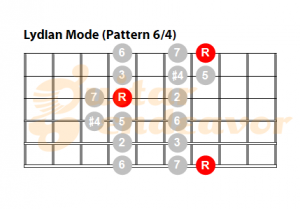 It is only one note different from the major scale, it has a sharpened fourth giving it its dreamlike character. 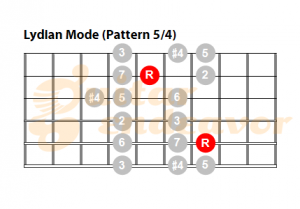 It is the 4th of the seven musical modes. 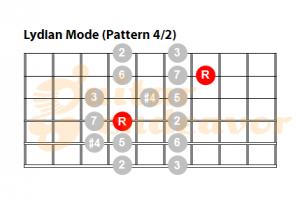 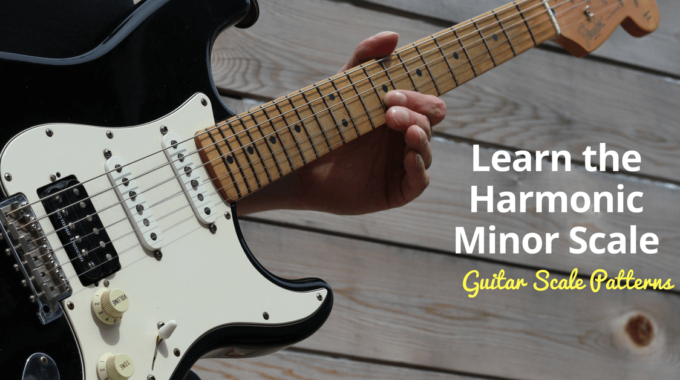 To create a Lydian scale you would play a major scale starting from the 4th note. 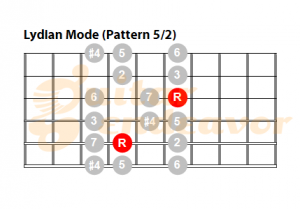 For example: to play an F Lydian scale you would play a C Major scale from F to F.